A basic understanding of Flask and HTML is needed to follow this tutorial. 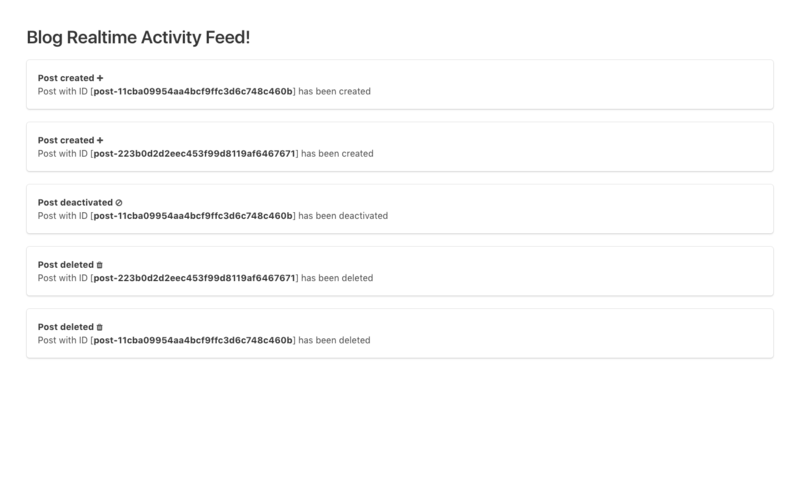 A great way to track what users are doing in your application is to visualise their activities in a feed. This would be especially useful when creating a dashboard for your application. Pusher is a service that makes it easy for us to supercharge our web and mobile applications with realtime updates. We will be using it primarily for powering our realtime blog and activity feed. Head over to Pusher.com and register for a free account, if you don’t already have one. The templates folder contains our HTML files, while app.py will house all our server-side code. One of the great things about Flask is how it allows you to set up small web projects with minimal code and very few files. Next, we will write some code to display our pages and handle requests from our app. We will use Pusher to handle the management of data sent to our backend. We will broadcast events, with corresponding data on a channel, and listen for these events in our app. In the code above, we initialise the Pusher object with the credentials gotten from the Pusher dashboard. Remember to replace YOUR_APP_ID and similar values with the actual values for your own app. The first 2 routes defined serve our two app views. The index (or home) page which shows the blog, and the feed page which shows the activity feed. Note: The render_template() function renders a template from the template folder. The endpoints defined above broadcast events for various actions (storing posts, deactivating posts, deleting posts) via Pusher. You can find the full app.py file here. In the next step, we will build the views for our app. We bind the various events we’re listening for on the channel. The bind() method has the following syntax – channel.bind(event_name, callback_function). We’re listening for 3 events on the blog view - post-added, post-deleted and post``-deactivated. Now that we have finished building the blog page, we can proceed to create the feed page and listen for the same set of events. In a few easy steps, we have been able to build both a realtime blog page, and an activity feed to show events happening on the blog — this shows how well Pusher works with Flask for creating quick realtime applications. There are many other use cases for adding realtime functionality to Python applications. Do you have any more improvements, suggestions or use cases? Let us know in the comments!